“Turn! Turn!” hollered my father from the passenger seat of the family car as I drove rapidly toward the curb. With admirable courage, he’d taken the 15-and-a-half-year-old me for the first time to practice driving in the church parking lot. I’d been beyond excited to get behind the wheel, but now I realized it wasn’t quite as easy as it looked. Thankfully, my father and I both survived. He and others helped me gain the necessary knowledge and skills to drive safely. It wasn’t too much longer before I got my license and was able to drive on my own. 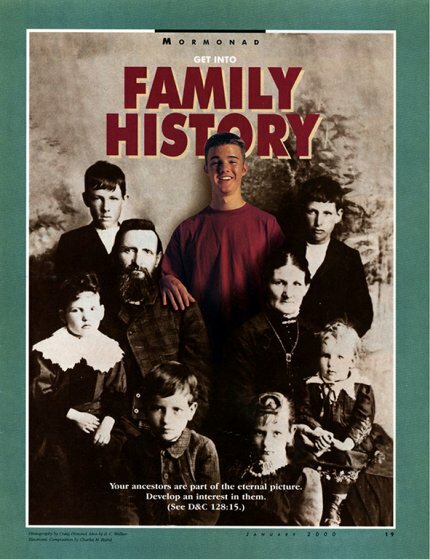 Doing family history is a lot like learning to drive a car. Most people can learn to drive a car without too much difficulty, but it takes more than just getting behind the wheel and turning the key. Successful, safe driving means knowing the basic rules of the road and how to operate a vehicle. Welcome to Family History Drivers’ Ed. For the next several months, a series of “Light for my Path” columns will provide guidance for you who may be new to family history. Along with tools and knowledge, each column will also include suggested activities to help you make progress along the path of successful family history and temple work. Family Tree is not like some other family history web sites where users create individual family trees. Instead, the goal of Family Tree is to create one shared tree for all of humankind. To meet this goal, Family Tree aims to have one (and only one) complete, accurate record for each person who has lived on the earth, linked to other records by correct family relationships. Users work together to create this shared tree by adding names, dates, and places, as well as sources, photographs, and stories. Family Tree is “open edit,” which means that any registered user can add or change information (similar to Wikipedia). Because there is only one shared tree, changes made by one user are seen by everyone. Go to https://familysearch.org and sign in. In the upper-right corner, click your name. You’ll see a drop-down list. On the menu bar, click Contact. Take a few minutes to explore your tree. Don’t worry about making changes or adding people yet. If you see problems, just make a note of them. We’ll be talking about how to fix things later. In the next column, we’ll discover how all those names got into Family Tree.